Mentoring that makes a difference! Big Brothers Big Sisters of Northcentral Wisconsin has been serving at-risk youth since 1976. Big Brothers Big Sisters of Northcentral Wisconsin is the gold standard in youth mentoring. By matching children with a positive role model, we are building stronger communities one relationship at a time. Big Brothers Big Sisters serves children ages 6 through 14 that are struggling emotionally, socially, academically, and behaviorally. Currently, our service areas include: Marathon County, Abbotsford and the Merrill Area. Our School-Based Program serves the districts of: Merrill, Wausau, Abbotsford, D.C. Everest, Mosinee & Marathon. The mission of Big Brothers Big Sisters of Northcentral Wisconsin is to provide children facing adversity with strong and enduring, professionally supported one-to-one relationships that change their lives for the better, forever. The vision of Big Brothers Big Sisters of Northcentral Wisconsin is that all children achieve success in life. We are a progressive organization that measures our impact and will recruit, build and retain the most effective team and Board. 84% of children served improved their level of confidence. 67% of children served improved their level of competence. 72% of children served improved their level of caring. Our founder Jim Hoops saw a need to establish a mentoring program to help the youth of our community. Jim formed a committee, and together they secured funding from private organizations, businesses and the United Way of Marathon County. On October 12, 1976 Jim’s dream became a reality. Big Brothers Big Sisters of Marathon County was officially registered with the State of Wisconsin. Forty-three years later and many great things have happened. We are now known as Big Brothers Big Sisters of Northcentral Wisconsin and we have served thousands of children in a match relationship. The staff at Big Brothers Big Sisters of Northcentral Wisconsin still hold our founder’s values and inspirations to continue to serve our communities with honest dedication to our children, family, volunteers and supporters.  Big Brothers Big Sisters of Northcentral Wisconsin will not discriminate on the basis of race, color, national and ethnic origin, religion, marital status, gender identity, and/or sexual orientation. We, the staff of Big Brothers Big Sisters, together as a team, value integrity and positive relationships. We work collectively to make an impact on the lives of others and on our community through enthusiasm, compassion, and commitment to our mission. Jerry Lyon is the Executive Director of Big Brothers Big Sisters of Northcentral Wisconsin. He has been with the agency since April 2016. Jerry lives in Merrill with his wife, Molly, and children, Wyatt and Jacey. In his free time, he loves to watch his kids in their numerous activities, golf, and is an avid muskie fisherman. Linda Koepke is the Development Director of Big Brothers Big Sisters of Northcentral Wisconsin. She has been with the agency since 2002. Linda lives in Kronenwetter with her husband, children and two dogs. In her free time, she loves to spend time up-north with her family, read, and fish. Beth Kohnert is the Program Director for Big Brothers Big Sisters of Northcentral Wisconsin. She has been connected with the agency since being a Big Sister in high school, but became an employee in June of 2012. With her husband and three children, Beth enjoys watching Packer games, NASCAR races and driving her Studebaker. Lexi Grzanna is the Merrill Enrollment & Match Support Specialist for BBBS of Northcentral Wisconsin since 2018. Lexi lives in Merrill where she enjoys camping, kayaking, watching/playing sports, walking her dogs, painting, and spending time with her fiancé, family, and friends. Ellen Grod has been an Enrollment & Match Support Specialist for Big Brothers Big Sisters of Northcentral Wisconsin since 2016. Ellen lives in Kronenwetter with her husband. She has two married children and five grandchildren. Ellen’s interests include supporting her grandson in all his sports, reading, growing lots of garlic, feeding the birds and traveling. Favorite place to visit is Alaska where her daughter resides. Bria Skibba is the D.C. Everest Enrollment & Match Support Specialist. She has been with the agency since 2016. Bria lives in Rosholt with her husband and 3 dogs. She enjoys spending time outside, playing sports, and reading. Our board of directors consists of community leaders who share a passion for the Big Brothers Big Sisters of Northcentral Wisconsin’s mission & vision. Eaton, John, Overbey & Jackman Law Firm, LLC.